How Electable Is Bernie Sanders in 2020? It’s an article of faith among serious Bernie Sanders fans that he would have avoided Hillary Clinton’s loss to Donald Trump in 2016 had he been the Democratic nominee — in other words, “Bernie woulda won.” There’s no way to know for sure, but there’s certainly no empirical evidence that he would have done any worse than HRC, as many Democrats suspected earlier in the campaign cycle. ﻿Bernie Sanders spent much of 2016 talking of revolution. In 2019, he’s turned to a subject that’s a bit more pragmatic: electability. As he revs up his second presidential campaign, the Vermont senator and his supporters are putting his case for winning the general election at the center of the argument. 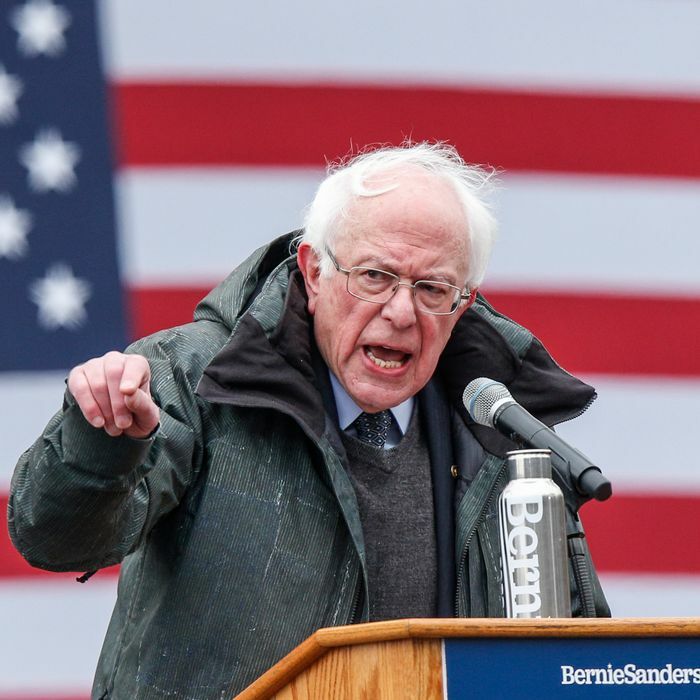 The emphasis is meant to aggressively confront the perception that Sanders, a self-described democratic socialist, is too liberal to win over the coalition needed to win the White House. That question dogged Sanders’s campaign for the Democratic nomination four years ago. This time he is trying to shake it early. Nate was intrigued with Team Bernie hyping a poll that showed Sanders with a spare two-point lead over Trump (as compared to a ten-point lead for Joe Biden). But it may have demonstrated how committed the Sanders campaign is to an electability argument. So, what do we know about Sanders’s electability? It’s not an easy question. In 2016, his standing in trial heats against Trump was indeed consistently better than Clinton’s, and in the early stages of the current cycle, he’s never trailed Trump in a 2020 poll and has often led him by double digits. But as has often been noted, Sanders has never had his long and sometimes controversial record exposed in the heat of a national general-election campaign. Given the preliminary Trump/GOP strategy of demonizing Democrats for association with “socialism,” they could be softening up Sanders, as a self-identified socialist, for a beating, even as they associate other Democrats with the S-word. And there’s no question Sanders would, in a general election, have to deal with claims that in his long record he’s not only identified with lefty domestic-policy proposals, but has aligned himself with a global left that includes Marxist authoritarian regimes. As a Democratic nominee, Sanders would attract a billion dollars or so of right-wing oppo research. But that could well be the case with any potential Democratic candidate. The question is whether Bernie has some compensatory general-election appeal. There’s a long-standing lefty theory that, in sharp contrast to the ancient belief that candidates closer to the political center are more electable, more explicitly progressive candidates can energize the party base without losing a significant share of swing voters. The current atmosphere of polarization, and the obvious problems Hillary Clinton had in maintaining her party’s base in 2016, reinforces the idea that someone like Sanders can thread the needle between mobilization and persuasion strategies. But Sanders has a long way to go. In 2016, Clinton was loath to offend the People of the Bern; particularly late in the nominating contest, she was clearly winning and avoided attacks that might alienate Sanders supporters she needed in the general election. In the vast 2020 Democratic field, particularly if Bernie becomes the front-runner, it’s likely some rivals will hit him with some of the same attack lines he would experience in a fight with Trump. In the end it’s probably smart for Sanders supporters to endlessly promote his electability, which may increasingly preoccupy Democratic primary voters as 2020 grows near. But those who live by the electability sword could die by it as well, making Bernie vulnerable to the next poll coming across the transom showing some other Democratic candidate doing a lot better. It’s probably a good idea for Sanders to publicize the better progressive bang for the buck that he can achieve by clearing Democratic rivals from the field and taking on Trump mano a mano. As we get closer to 2020, we’ll find out if Democrats can ignore the unwashed members of the electorate, and decide how and whether to bring them home. At that point general-election polls could begin to matter a great deal, and how candidates and voters alike respond to electability questions will matter more than the assertions of any particular campaign. Bernie Sanders should listen up. How Electable Is Bernie Sanders?